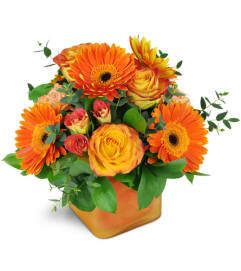 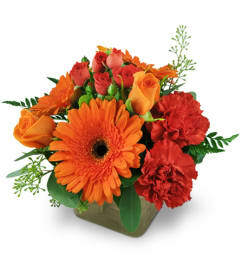 Set hearts ablaze with our glowing Savannah Sunset™ bouquet! 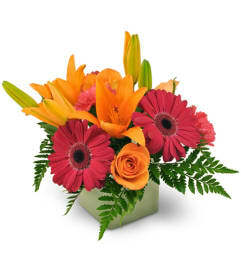 A simple yet striking arrangement of bright yellow-orange calla posies is sure to inspire. 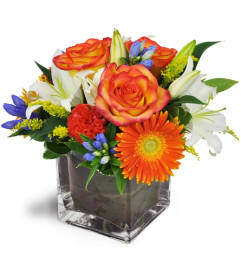 A unique and truly memorable gift for an extra-special occasion. 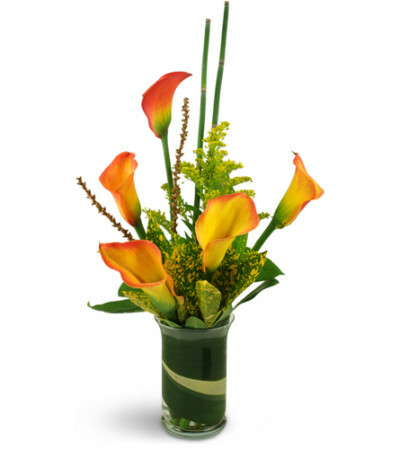 Miniature calla lilies glow among tropical greens, solidago, and horsetail, accented with dried branches in a vase wrapped with aspidistra.